- Black graphics on a light gray dial background. - Very low profile bezels follow the curve of the lens to eliminate water "trapping". - Pointers are white with a black hub. - Graphics light through the dial, in blue. 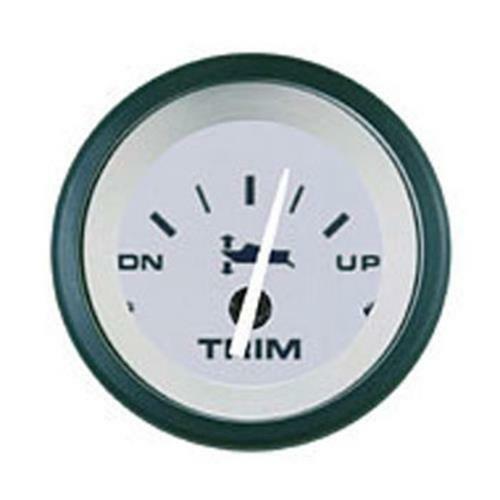 Ideal for outboards, stern drives and gas powered inboards. The light gray dials, clean black numerals and a black pointer hub with white staff provides a unique look for any dash.